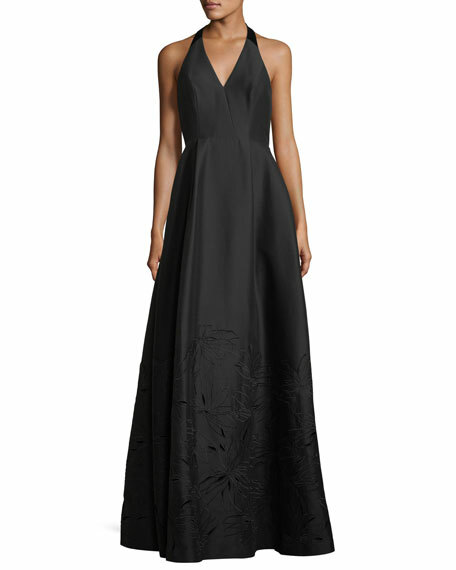 Halston Heritage evening gown with tonal embroidery. 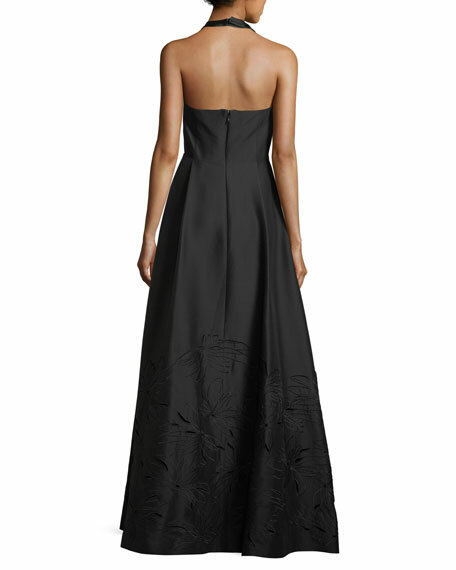 Princess seams at front and back. For in-store inquiries, use sku #2351564.